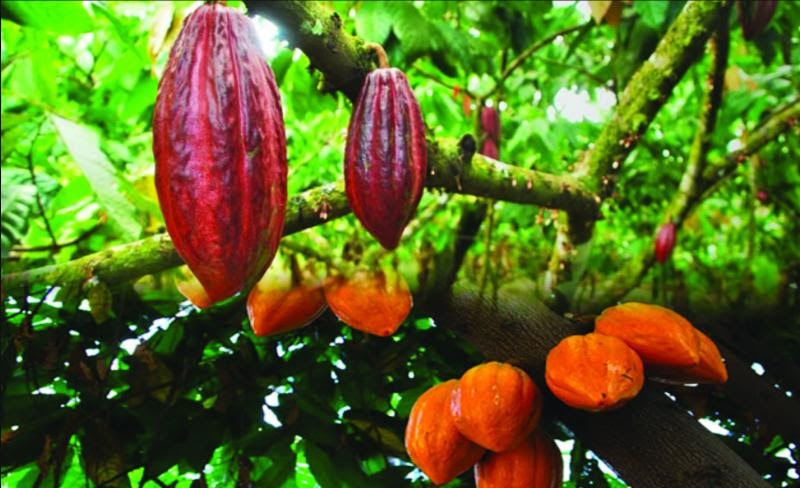 The next topic in the Kentlands Community Foundation Lecture Series, co-sponsored by the City of Gaithersburg, focuses on support of the cocoa industry in the Caribbean, Latin America and West Africa as a way to bring prosperity and dignity to farmers. Eric Reed, CEO and Founder of CiBEXO Group, which operates SPAGnVOLA Chocolatier in the Kentlands, will talk about the impact of developing small and medium scale manufacturing facilities in these regions. The free event takes place at the Arts Barn in Kentlands on Tuesday, February 12, with a wine reception at 7 p.m. and the lecture at 7:30. This is a City of Gaithersburg, Maryland announcement. Just going to add a little to my morning coffee...it IS powerfully good ! I love the photos. Thank you for sharing . I hope it will be well attended. Good morning Roy - that sound like a very interesting theme about economic power of cocoa. Good morning Roy. If I were closer, I would be an attendee. Enjoy the lecture! Good morning Roy. I think this will be a fascinating lecture and hope that everyone who attends will enjoy it. I would definitely support this, natural cocoa is supposed to be nutitious and it tastes really good too! Roy, this would be a really interesting event, wish I lived closer! Another interesting free event in Kentlands, courtesy of Roy Kelley's blog series! Hi Roy Kelley - sounds like a wonderful addition to the Lecture Series. Having worked for the Mars Corp. for years, Roy, I probably know more about cocoa than most people, but if I were in your area I'd definitely attend this event. SPAGnVOLA Chocolatier is a much loved business in Kentlands. Sounds like a worthwhile event for those interested in the cocoa industry Roy. Just having cursary knowledge is bound to be an asset regardless of occupation. It was very cold and winds howling all day today Roy. I broke dowm and enjoyed me a good hot cocoa this afternoon after showing homes. The seller invited me back in where she warmed us up. Hello Roy, I add cocoa to my brownie recipe for a added touch to them. Seems to work. Roy, I did not know until recently the importance of pure cocoa powder, not the usual drinking cocoa most of us are familiar. The pure cocoa powder is an excellent source of antioxidants and also a very powerful natural appetite suppressant. It is a very healthy drink whether you are trying to lose weight or just having a mid-morning or mid=afternoon cup.